Monday, April 22 @ 6:30pm. Register Now…693-4132. 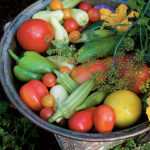 Learn which varieties are best to grow in this region, tips on planting, and harvesting them. Free and open to the public.